Is the Volkswagen Bus for Sale? Are you on the hunt for a Volkswagen bus for sale in the Arlington area? Unfortunately, since the classic Type 2 model hasn’t been in production in Europe or the US since 1979, options are a little slim, which means having to look at private sellers or vintage car dealerships. You can also rent them, or wait for the all-electric Volkswagen Bus to debut in 2022. Will Volkswagen Release a New Bus? Volkswagen is reporting that a brand new electric VW Bus is currently in the works and should arrive at dealerships sometime in 2022. The all-new model will be based on the I.D. Buzz concept revealed at the 2017 Detroit Auto Show. It’s expected to feature the Volkswagen Modular Electric Drive concept. With the all-electric, you can see a 300-mile drive range, and with the VW fast-charge system, up to 80 percent of the battery can get charged within a half hour. You will see the latest state-of-the-art technology features, but the styling will be based on the classic look of the vintage bus. 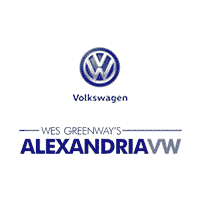 Visit Alexandria Volkswagen and check out our new Volkswagen inventory. You can browse the entire lineup of VW models like the family-friendly Volkswagen Jetta and the spacious Volkswagen Tiguan. Contact us to learn more about what Volkswagen has to offer, or to schedule your test drive. 0 comment(s) so far on Is the Volkswagen Bus for Sale?